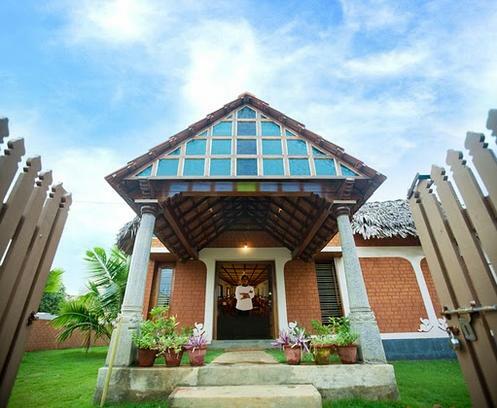 Nestled in the village of Kanadukathan, Chettinadu Court is a beautiful village resort. 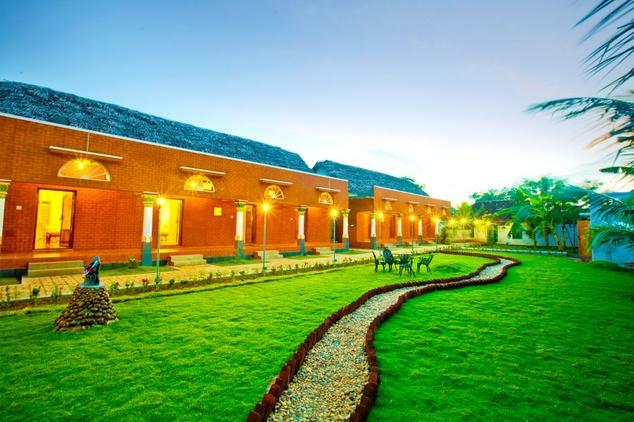 Kanadukathan village is just 9 kms away from the highway connecting Tanjore, Trichy and Madurai that makes Chettinadu Court most sought after resort for leisure travelers. 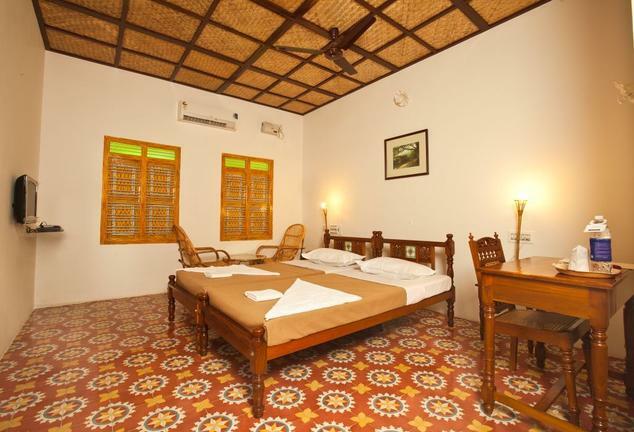 The well-appointed 8 rooms of the resort are fully furnished offering outstanding accommodation to its guests. 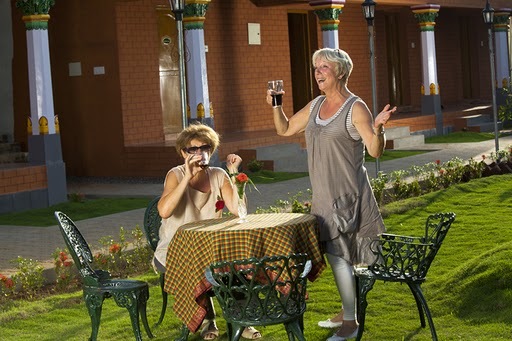 The resort is surrounded with pleasurable sights and tranquil village offering comfortable and peaceful stay to its every guest. Enjoy mouth-watering dishes at the multi-cuisine restaurant of the resort. 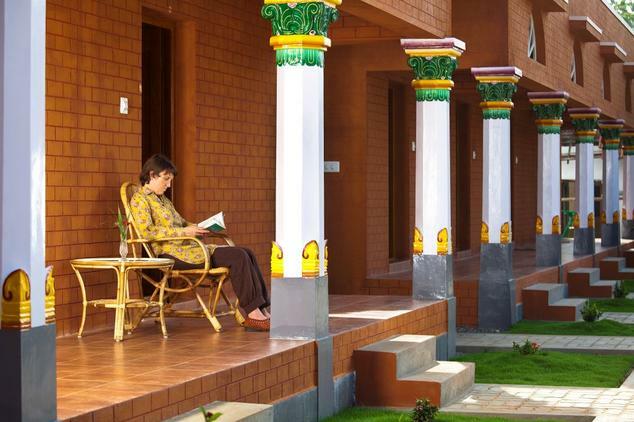 Sightseeing tours around Chettinad are also organised by the resort with a guide and bullock cart ride. 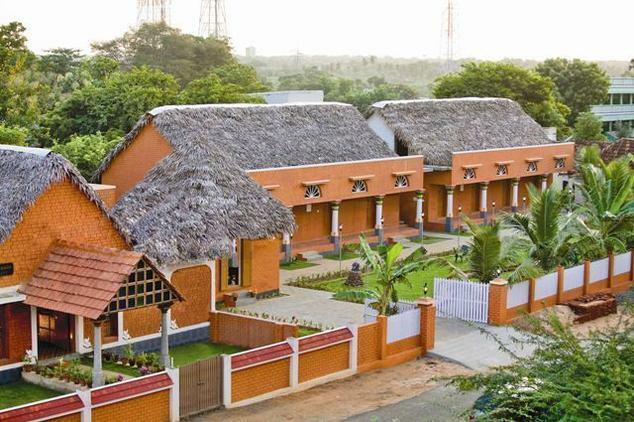 Some of the noteworthy facilities offered include parking facility, airport transfer, breakfast services, swimming pool, laundry service, travel desk, Ayurveda centre, safe deposit box on the front desk, taxi services, indoor restaurant, backup generator, conference hall, newspapers, bicycle rental, luggage storage and room service. The charming Deluxe Rooms offer every facility to ensure a comfortable stay of its guests. 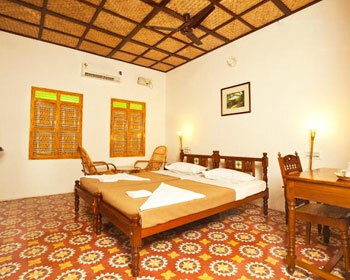 The plush decor of the Deluxe Rooms and warm ambience accentuates the overall look of the room. These rooms offer double or twin beds, couple of chairs with a coffee table and include hosts of facilities such as colour television, laundry service, cable/satellite television, room service, telephone, air-conditioning, ceiling fan, internet access, private bathroom, in-room dining and bathroom amenities. 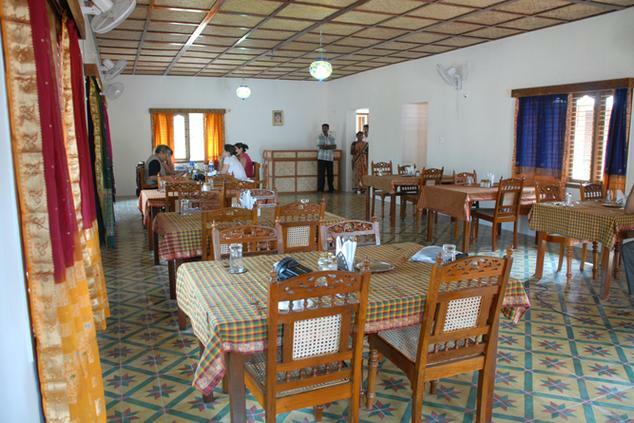 Chetttinadu Court has a multi-cuisine restaurant serving delicacies from different cuisines. Guests here can enjoy mouth-watering food with their family, friends and loved ones in a cosy and warm ambience.